“What you want – Baby, I got it” were the lyrics that showcased Aretha Franklin’s famed life and virtuous death. Like a song that becomes an anthem, her life had a resounding impact on others. “We’re goin’ ridin’ on the freeway of love,” was Aretha’s invitation to this gay, white boy to join her in solidarity. Her use of the universal language of love fueled respect for all persons despite any differences. While becoming an American treasure and personal icon of self-expression, Aretha Franklin attained a purposeful life with gospel vibrato. Self-determination comes from a higher power of faith. As a child of God and daughter of a Baptist minister, Aretha was nurtured with unconditional love from the beginning of life until the end. Having agreed to hospice, she placed her life in the hands of nursing personnel who serve as guardian angels. People who command respect, deserve others to comfort them like they’re being welcomed home. Hospice can provide such a setting and awareness. Sadly, people who do not ask for respect at the end of life are often mistreated. When patients and their caregivers are resistant to receiving appropriate end-of-life care, they tend to receive life-prolonging measures. Rather than dying at home, they frequently die in ICU’s. With any hard-fought battle, you can choose to die on the battlefield or return home. Ms. Franklin made the choice to return home. She respected herself enough to have a good death – surrounded by family and friends. In turn, they respected her wishes. R-E-S-P-E-C-T is embodied in each person. What this means is spelled out in each letter. All humanity is sacred. Not just at certain times, but at each moment of life. When life is considered precious, it’s easy to find the good in all situations and circumstances. Accentuating the positive allows for a better appreciation of people, places and things to be thought of as sacred. The light at the end of the tunnel might prompt an awakening for a person to take center stage and receive an ovation. It’s can be difficult for many of us to believe that we’re worthy of respect while ill. Just as no one would deny the respect that’s due Aretha Franklin, we all must see ourselves in the same light that reflects her stardom. Being present at each moment of every day means you are engaged – not distracted by the past or worried about the future. Having respect for the hour of emergency situations requires all concerned to be firing on all cylinders. Like a machine, all parts need to be in sync to function properly. For physicians, respect demonstrated to others includes both the duty to act and the Hippocratic Oath to do no harm. Patients show respect for themselves by knowing when to surrender. “It’s time” becomes a directive to refuse medical intervention and engage physicians to “deliver you” from unnecessary testing and treatment. When able to trust yourself, you begin to respect your own judgment. This sense of security promotes self-respect and self-determination in making medical decisions. Personal security arises from well-being – the firm belief that all’s well with you. Believing that there’s nothing wrong with you takes practice and requires a spiritual awareness found in your heart. The heart is compassionate and nonjudgmental, only appreciating the good in yourself and others. It accepts whatever circulates in life and soothes it by blowing oxygen on the “bloody” situation. You can trust the heart to be there at every moment of your existence, leading by example and ensuring your security. Fate can often be a blessing or a curse. Might it simply be a privilege? Can a chance experience like pancreatic cancer make someone feel chosen and privileged? If things happen for a reason, you need to respect what comes your way and how you’ll respond. Cancer often inspires the victim to rise above its destructive nature. Cancer patients embark on a hero’s journey. It’s not for the fainthearted, requiring both the strength to hold on and the courage to let go. Cancer patients gain respect with each passing moment and hold a privileged space in the heart of their caregivers. Rank has its privilege. Cancer patients might believe themselves in good company with Aretha Franklin. Hope is hidden in expectation. When expectations are met, people feel respected. But when your hopes are unreasonable, the less others do to fulfill your wishes. They tend to write the person off and discount hopes for the future. The best way to provide comfort to others is to make them feel at home. Stop treating them like patients and begin to respect them as people. Ms. Franklin wanted others to respect her privacy both throughout her battle with cancer and during her final hours. By hanging a virtual “Do Not Disturb” sign outside her front door, she reminded others to respect her comfort. Aretha Franklin can forever claim to be “The Queen of Soul!” This title earned her respect throughout life and will remain a testament to her legacy. What does it mean to be the “Queen of Soul?” It means that you have followers and reign in triumph. It also means that you rule and are not subject to others’ rules and regulations. Any queen gets what she wants. The greatest testament to your own life is self-determination. When all is said and done, respect is given to those who follow their hearts and do things their own way. To live authentically requires appreciating your talents and maximizing your potential. Your testament is a God-given opportunity to do what you do best and to be satisfied at the end. 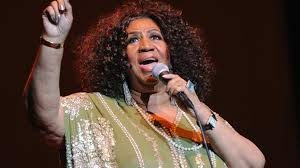 The Queen of Soul achieved this goal and will surely rest in peace!